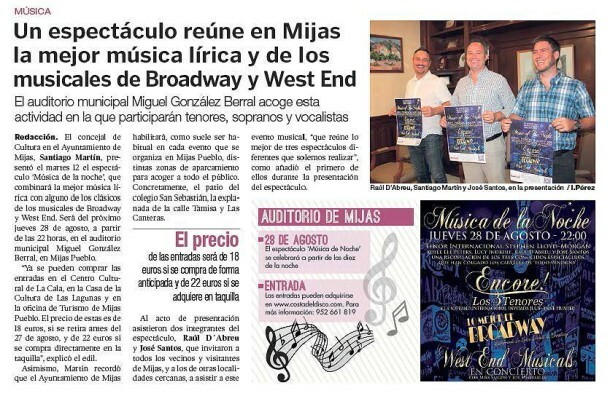 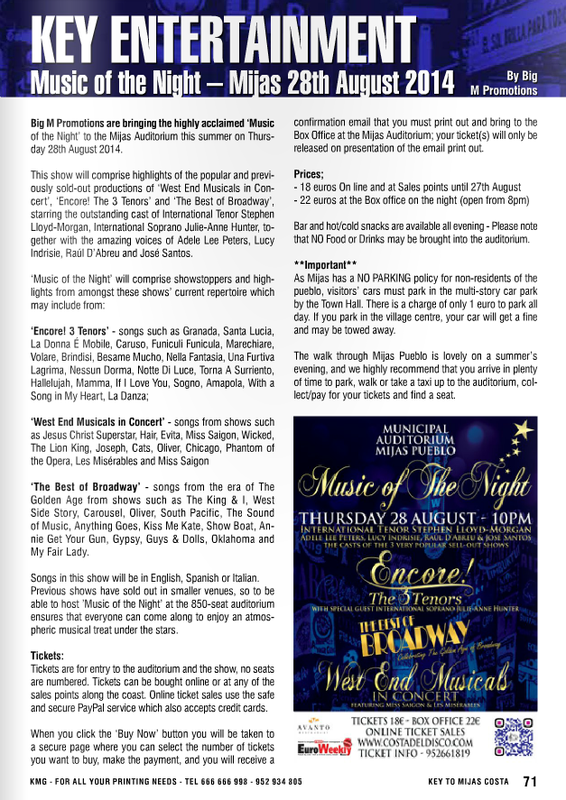 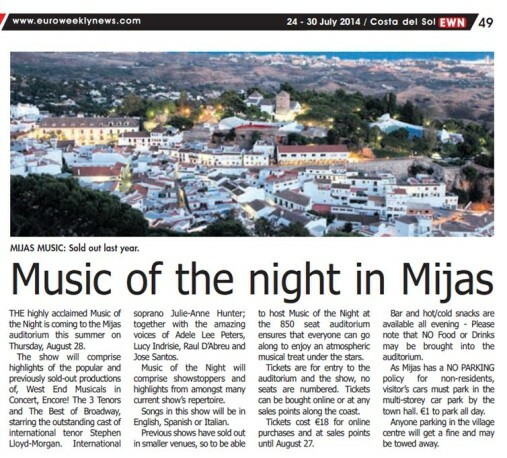 MUSIC OF THE NIGHT – MIJAS AUDITORIUM – 28 AUGUST 2014 – PRESS PREVIEWS | Marbella Marbella – Adelante! 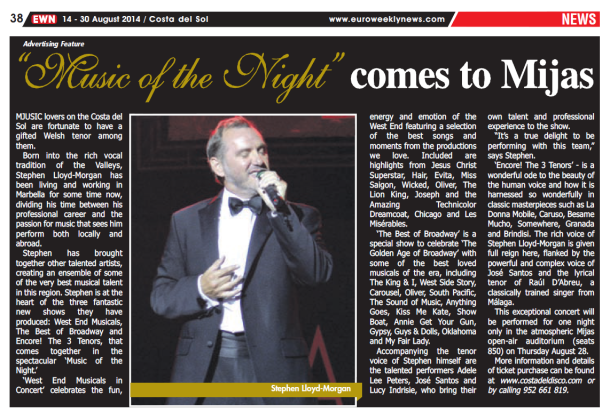 The most anticipated show of the summer comes to the Mijas Auditorium on 28th August for one night only. 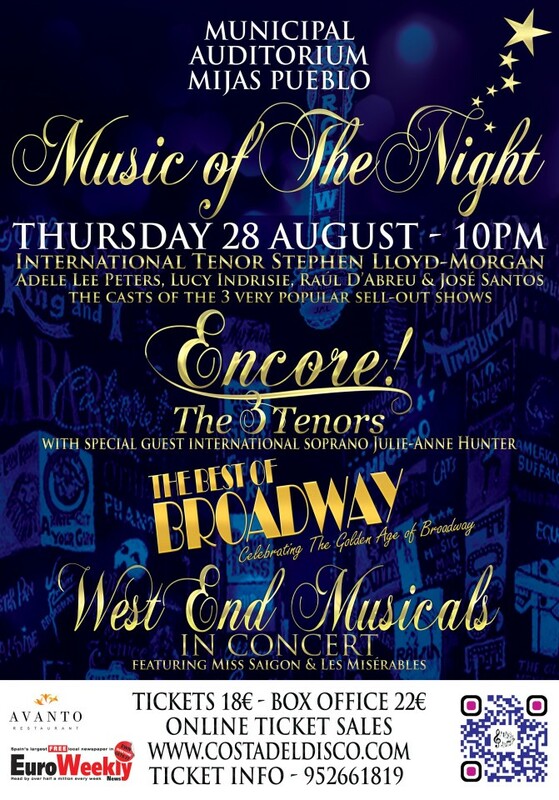 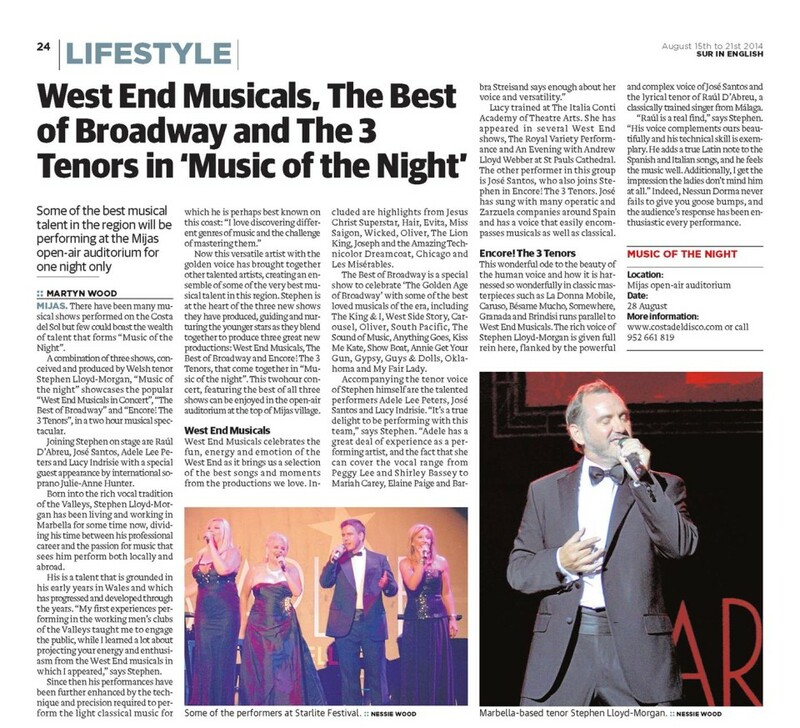 This unique spectacular event of the summer will bring you the only combined Broadway, West End and 3 Tenors shows on the Costa del Sol this year!